I have just recently sold this listing at 709 - 1445 Marpole Ave, Vancouver. I have just recently sold this listing at 1808 - 610 Granville Street, Vancouver. I have just recently sold this listing at 210 - 350 E 2nd Avenue, Vancouver. I have just recently sold this listing at 3106 928 Nelson St, Vancouver. I have just recently sold this listing at 207 1551 W 11TH AVENUE, Vancouver. I have just recently sold this listing at 204 310 WATER STREET, Vancouver. I have just recently sold this listing at 4199 Bridgewater Cres, Burnaby. I have just recently sold this listing at 281 Alexander Street, Vancouver. I have just recently sold this listing at 1447 HOWE STREET, Vancouver. I have just recently sold this listing at 1001 - 1455 Howe Street, Vancouver. I have just recently sold this listing at 708 - 1333 W Georgia Street, Vancouver. I have just recently sold this listing at 2401 - 1238 Richards Street, Vancouver. I have just recently sold this listing at 1208 - 108 E 1st Avenue, Vancouver. I have just recently sold this listing at 2105 - 1111 Alberni Street, Vancouver. I have just recently sold this listing at 308 - 1275 Hamilton Street, Vancouver. I have just recently sold this listing at 2905 - 1200 W Georgia Street, Vancouver. I have just recently sold this listing at 188 E 17th Avenue, Vancouver. I have just recently sold this listing at 502 - 1499 W Pender Street, Vancouver. I have just recently sold this listing at 314 - 55 E Cordova Street, Vancouver. I have just recently sold this listing at 2002 - 838 W Hastings Street, Vancouver. I have just recently sold this listing at PH806 518 BEATTY STREET, Vancouver. I have just recently sold this listing at 504-546 Beatty Street, Vancouver. I have just recently sold this listing at 3603 1028 BARCLAY STREET, Vancouver . I have just recently sold this listing at 212 - 108 E 1st Avenue, Vancouver. I have just recently sold this listing at 616 - 289 E 6th Ave, Vancouver. I have just recently sold this listing at 407 - 1066 Hamilton Street, Vancouver. I have just recently sold this listing at 315 5500 ANDREWS ROAD, Richmond. I have just recently sold this listing at 207 - 1010 Chilco St, Vancouver. I have just recently sold this listing at 204-1858 W 5th Ave, Vancouver. I have just recently sold this listing at 1112 9171 FERNDALE ROAD, Richmond. I have just recently sold this listing at 11353 KINGCOME AVENUE, richmond. I have just recently sold this listing at 2101 - 838 W Hastings Street, Vancouver. I have just recently sold this listing at 3164 Prince Edward Street, Vancouver. I have just recently sold this listing at 201 - 1220 E Pender Street, Vancouver. I have just recently sold this listing at 302 - 1565 W 6th Avenue, Vancouver. I have just recently sold this listing at 2220 HAYWOOD AVENUE, West Vancouver. I have just recently sold this listing at 1209 - 1238 Seymour St, Vancouver. I have just recently sold this listing at 322 - 3333 Main Street, Vancouver. I have just recently sold this listing at #310 - 36 Water St, Vancouver. I have just recently sold this listing at 3637 PRINCE ALBERT STREET, Vancouver. I have just recently sold this listing at #317 - 336 E 1st Ave, Vancouver. I have just recently sold this listing at #505 - 28 Powell St, Vancouver. I have just recently sold this listing at 309 428 W 8TH AVENUE, Vancouver. I have just recently sold this listing at 1532 W 57th Avenue, Vancouver. I have just recently sold this listing at PH805 - 27 Alexander, Vancouver. I have just recently sold this listing at 4370 QUEBEC STREET, Vancouver. I have just recently sold this listing at 504 12 water st., Vancouver. I have just recently sold this listing at 509 - 36 Water Street, Vancouver. I have just recently sold this listing at 208 - 36 Water Street, Vancouver. I have just recently sold this listing at 808 - 1238 Seymour Street, Vancouver. I have just recently sold this listing at 406 131 E 3RD STREET, North Vancouver. I have just recently sold this listing at 2305 - 1028 Barclay Street, Vancouver. I have just recently sold this listing at 404 - 222 E 30th Avenue, Vancouver. I have just recently sold this listing at 2709 - 501 Pacific Street, Vancouver. I have just recently sold this listing at 3201 888 HOMER STREET, Vancouver. I have just recently sold this listing at #402 1529 W 6th Ave, Vancouver. I have just recently sold this listing at 606 - 27 Alexander Street, Vancouver. I have just recently sold this listing at 210 - 1529 W 6th Avenue, Vancouver. I have just recently sold this listing at 505 55 E CORDOVA STREET, Vancouver. I have just recently sold this listing at #314 - 1275 Hamilton Street, Vancouver. I have just recently sold this listing at 4304 1011 W CORDOVA STREET, Vancouver. I have just recently sold this listing at 2304 - 1239 W Georgia Street, Vancouver. I have just recently sold this listing at 2702-1028 Barclay Street, Vancouver. I have just recently sold this listing at # 309 12 WATER ST, Vancouver. I have just recently sold this listing at 102-518 Beatty St, Vancouver. I have just recently sold this listing at #602-1180 Homer St, Vancouver. I have just recently sold this listing at #501-1168 Richards, Vancouver. I have just recently sold this listing at # 101 2228 MARSTRAND AV, Vancouver. I have just recently sold this listing at # 407 12 WATER ST, Vancouver. I have just recently sold this listing at # T07 1501 HOWE ST, Vancouver. I have just recently sold this listing at # 1005 821 CAMBIE ST, Vancouver. I have just recently sold this listing at # 304 219 E GEORGIA ST, Vancouver. I have just recently sold this listing at 503 - 41 Alexander Street, Vancouver. I have just recently sold this listing at # 405 610 W GRANVILLE ST, Vancouver. I have just recently sold this listing at # 601 1565 W 6TH AV, Vancouver. I have just recently sold this listing at #501-55 E Cordova St, Vancouver. I have just recently sold this listing at 403 - 2181 W 12th Ave, Vancouver. I have just recently sold this listing at 809 - 788 Richards Street, Vancouver. I have just recently sold this listing at # 712 221 UNION ST, Vancouver. I have just recently sold this listing at 502 - 1280 Richards Street, Vancouver. I have just recently sold this listing at 201 - 27 Alexander Street, Vancouver. I have just recently sold this listing at # 1201 108 E 1ST AV, Vancouver. 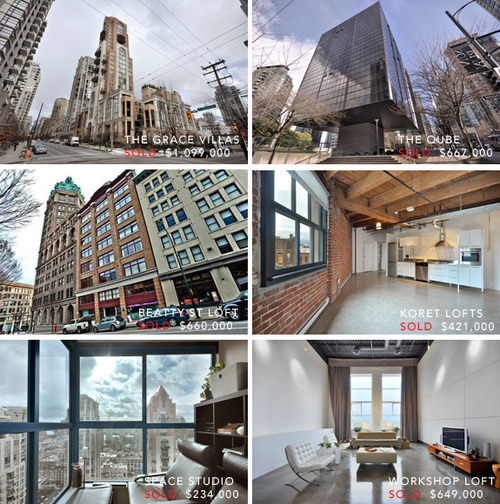 I have just recently sold this listing at 304 - 1102 Hornby Street, Vancouver. I have just recently sold this listing at # 1403 1050 SMITHE ST, Vancouver. I have just recently sold this listing at # 402 1333 W GEORGIA ST, Vancouver. I have just recently sold this listing at 3538 GLADSTONE ST, Vancouver. I have just recently sold this listing at # 304 869 BEATTY ST, Vancouver. I have just recently sold this listing at # 103 205 E 10TH AV, Vancouver. I have just recently sold this listing at 305 - 429 W 2nd Ave, Vancouver. I have just recently sold this listing at 4063 W 32nd Ave, Vancouver. I have just recently sold this listing at # 2401 1238 RICHARDS ST, Vancouver. I have just recently sold this listing at # 714 1333 W GEORGIA ST, Vancouver. I have just recently sold this listing at # 407 1333 W GEORGIA ST, Vancouver. I have just recently sold this listing at 1451 Howe Street, Vancouver. I have just recently sold this listing at 509 - 1540 W 2nd Ave, Vancouver. I have just recently sold this listing at 302 - 1180 Homer Street, Vancouver. I have just recently sold this listing at 304 - 546 Beatty Street, Vancouver. I have just recently sold this listing at 409 - 2142 Carolina Street, Vancouver. I have just recently sold this listing at 504 - 933 Seymour Street, Vancouver. I have just recently sold this listing at # 1807 128 W CORDOVA ST, Vancouver. I have just recently sold this listing at # 1203 2770 SOPHIA ST, Vancouver. I have just recently sold this listing at 902 - 528 Beatty Street, Vancouver. I have just recently sold this listing at # 521 55 E CORDOVA ST, Vancouver. I have just recently sold this listing at # 809 250 E 6TH AV, Vancouver. I have just recently sold this listing at # 3204 938 NELSON ST, Vancouver. I have just recently sold this listing at Ph2801 - 1238 Richards Street, Vancouver. I have just recently sold this listing at 21 - 120 Powell Street, Vancouver. I have just recently sold this listing at # 1105 1500 HORNBY ST, Vancouver. I have just recently sold this listing at # 113 3770 MANOR ST, Burnaby. I have just recently sold this listing at # 203 1178 HAMILTON ST, Vancouver. I have just recently sold this listing at #704 428 W 8th Ave, Vancouver. I have just recently sold this listing at # 412 988 RICHARDS ST, Vancouver. I have just recently sold this listing at # 405 518 BEATTY ST, Vancouver. I have just recently sold this listing at PH808 27 Alexander Street, Vancouver. I have just recently sold this listing at 2402 - 501 Pacific Street, Vancouver. I have just recently sold this listing at # 505 1333 W GEORGIA ST, Vancouver. I have just recently sold this listing at # 805 518 BEATTY ST, Vancouver. I have just recently sold this listing at 1328 E 6TH AV, Vancouver. I have just recently sold this listing at # 1001 1455 HOWE ST, Vancouver. I have just recently sold this listing at Condo 1028 Barclay STREET, Vancouver. I have just recently sold this listing at #320 1238 Seymour St, Vancouver. I have just recently sold this listing at # 13 3591 GRANVILLE AV, Richmond. I have just recently sold this listing at # 806 518 BEATTY ST, Vancouver. I have just recently sold this listing at # 307 2338 WESTERN PW, Vancouver. I have just recently sold this listing at # 902 528 BEATTY ST, Vancouver. I have just recently sold this listing at # 1402 1028 BARCLAY ST, Vancouver. I have just recently sold this listing at # 205 55 ALEXANDER ST, Vancouver. I have just recently sold this listing at 1451 HOWE ST, Vancouver. I have just recently sold this listing at # 208 1055 RICHARDS ST, Vancouver. I have just recently sold this listing at # 313 55 E CORDOVA ST, Vancouver. I have just recently sold this listing at # 2803 610 GRANVILLE ST, Vancouver. I have just recently sold this listing at # 403 1333 W GEORGIA ST, Vancouver. I have just recently sold this listing at #307 1477 W Pender St, Vancouver. I have just recently sold this listing at # 401 310 WATER ST, Vancouver. I have just recently sold this listing at 1135 Seymour St, Vancouver. I have just recently sold this listing at # 401 499 DRAKE ST, Vancouver. I have just recently sold this listing at # 208 345 WATER ST, Vancouver. I have just recently sold this listing at # 403 138 W 6TH AV, Vancouver. I have just recently sold this listing at 1470 Arbutus, Vancouver. I have just recently sold this listing at # 1409 1420 W GEORGIA ST, Vancouver. I have just recently sold this listing at # 509 55 E CORDOVA ST, Vancouver. I have just recently sold this listing at # 501 55 E CORDOVA ST, Vancouver. I have just recently sold this listing at # 2602 1111 ALBERNI ST, Vancouver. I have just recently sold this listing at # 3406 1111 ALBERNI ST, Vancouver. I have just recently sold this listing at #3303 1111 ALBERNI ST, Vancouver. I have just recently sold this listing at # 317 336 E 1ST AV, Vancouver. I have just recently sold this listing at # 509 1540 W 2ND AV, Vancouver. I have just recently sold this listing at # 306 345 WATER ST, Vancouver. I have just recently sold this listing at # 401 1168 RICHARDS ST, Vancouver. I have just recently sold this listing at # 422 55 E CORDOVA ST, Vancouver. I have just recently sold this listing at # 402 1529 W 6TH AV, Vancouver. I have just recently sold this listing at # 511 933 SEYMOUR ST, Vancouver. I have just recently sold this listing at # 405 1529 W 6TH AV, Vancouver. I have just recently sold this listing at # 208 55 E CORDOVA ST, Vancouver. I have just recently sold this listing at # 402 345 WATER ST, Vancouver. I have just recently sold this listing at # 202 1230 HAMILTON ST, Vancouver. I have just recently sold this listing at # 805 27 ALEXANDER ST, Vancouver. I have just recently sold this listing at #509 1540 W 2nd Ave, Vancouver. I have just recently sold this listing at #207 546 Beatty St, Vancouver. I have just recently sold this listing at #207 546 Beatty , Vancouver. I have just recently sold this listing at # 312 1529 W 6TH AV, Vancouver. I have just recently sold this listing at # 915 1333 W GEORGIA ST, Vancouver. I have just recently sold this listing at # 1606 1238 SEYMOUR ST, Vancouver. I have just recently sold this listing at #506 1333 W Georgia St, Vancouver. I have just recently sold this listing at #302 499 Drake St, Vancouver. I have just recently sold this listing at #317 1220 E Pender St, Vancouver. I have just recently sold this listing at 2 - 6300 Birch St, Richmond . I have just recently sold this listing at # 510 55 E CORDOVA ST, Vancouver. I have just recently sold this listing at # 201 1220 E PENDER ST, Vancouver. I have just recently sold this listing at # 307 345 WATER ST, Vancouver. I have just recently sold this listing at #1901 1710 Bayshore Dr, Vancouver. I have just recently sold this listing at #211 1220 E Pender St, Vancouver. I have just recently sold this listing at #403 2001 Wall St, Vancouver. I have just recently sold this listing at # 320 55 E CORDOVA ST, Vancouver. I have just recently sold this listing at # 305 1238 HOMER ST, Vancouver. I have just recently sold this listing at # 705 1333 W GEORGIA ST, Vancouver. I have just recently sold this listing at # 2305 550 PACIFIC ST, Vancouver. I have just recently sold this listing at # 424 289 ALEXANDER ST, Vancouver. I have just recently sold this listing at # 314 1220 E PENDER ST, Vancouver. I have just recently sold this listing at # 403 345 WATER ST, Vancouver. I have just recently sold this listing at # 904 1238 SEYMOUR ST, Vancouver. I have just recently sold this listing at # 808 1238 SEYMOUR ST, Vancouver. I have just recently sold this listing at # 611 1238 SEYMOUR ST, Vancouver. I have just recently sold this listing at # 604 1238 RICHARDS ST, Vancouver. I have just recently sold this listing at # 707 438 SEYMOUR ST, Vancouver. I have just recently sold this listing at # 612 1238 SEYMOUR ST, Vancouver. I have just recently sold this listing at # 601 1333 W GEORGIA ST, Vancouver. I have just recently sold this Apartment at # 502 1238 SEYMOUR ST, Vancouver. I have just recently sold this listing at # 407 33 W PENDER ST, Vancouver. I have just recently sold this listing at #410 336 E 1st Ave, Vancouver. I have just recently sold this listing at # TH15 1501 HOWE ST, Vancouver. I have just recently sold this listing at 3326 School Ave, Vancouver. I have just recently sold this listing at # 2401 2225 HOLDOM AVE, Burnaby. I have just recently sold this listing at # 1703 3663 CROWLEY DR, Vancouver. I have just recently sold this listing at 705 - 4353 Halifax St, Burnaby. I have just recently sold this listing at 209 - 1220 Falcon Dr., Coquitlam. I have just recently sold this listing at 1 Noble Court, Port Moody. I have just recently sold this listing at 2301 - 501 Pacific St, Vancouver. I have just recently sold this listing at 504 - 1010 Howe St, Vancouver. I have just recently sold this listing at # 408 501 PACIFIC ST, Vancouver. I have just recently sold this listing at # 501 55 ALEXANDER ST, Vancouver. I have just recently sold this listing at # 1808 610 GRANVILLE ST, Vancouver. I have just recently sold this listing at 1801 6333 Silver Ave, Vancouver. I have just recently sold this listing at # 409 933 SEYMOUR ST, Vancouver. I have just recently sold this listing at # 305 234 E 5TH AV, Vancouver. I have just recently sold this listing at # 314 1220 E PENDER ST, Vancouver . I have just recently sold this listing at # 801 819 HAMILTON ST, Vancouver. I have just recently sold this listing at # 1605 1200 W GEORGIA ST, Vancouver. I have just recently sold this listing at # 605 1468 W 14TH AV, Vancouver. I have just recently sold this listing at # 1405 821 CAMBIE ST, Vancouver. I have just recently sold this listing at #915 - 9851 Heather St, Vancouver. I have just recently sold this listing at # 910 1238 Seymour S, Vancouver. I have just recently sold this listing at # 3502 1111 ALBERNI ST, Vancouver. I have just recently sold this listing at #1208 821 Cambie St, Vancouver. I have just recently sold this listing at 1001 - 501 Pacific St, Vancouver. I have just recently sold this listing at 1204 - 501 Pacific St., Vancouver.